These fitness tech gadgets may be the addition to your routine you need to stay on track with your fitness goals! Long gone are the days where one only needed a good pair of sneakers to go on a run, or maybe the new bike model to start a healthier routine. These days, fitness tech gadgets are all the hype and – with reason – they should be a part of your new workout regime. Whether you are looking for cheap fitness gadgets or you are interested in making a bigger investment on a more advance piece, these little devices and tools are packed with a wide number of advantages and benefits, that make working out more fun and keep you motivated. Some of these devices act like a gym-buddy that keeps you on track by taking into account your movement, your goals, the calories you’ve burned, the rhythm of your heart rate, the amount of steps you’ve taken and just how much more is left on your routine. And these are just some of the characteristics. Truth is, fitness tech gadgets have gained not only notoriety, but have also managed to become a staple for those who take their fitness routine as a part of their daily life. Even if you decide to start small and try to one of the cheap fitness gadgets available in the market, you will still get a broad number of specs to accompany your run or gym session. This digital bracelet may be light-weight, but is packed with potential. From tracking your cardio fitness level, your sleep patterns and your pulse rate, it can also be linked to your smartphone to send you notifications about incoming calls and messages and even remind you when it’s time to resume your workout. This little fellow may be part of the cheap fitness gadgets but is not behind when it comes to performance. 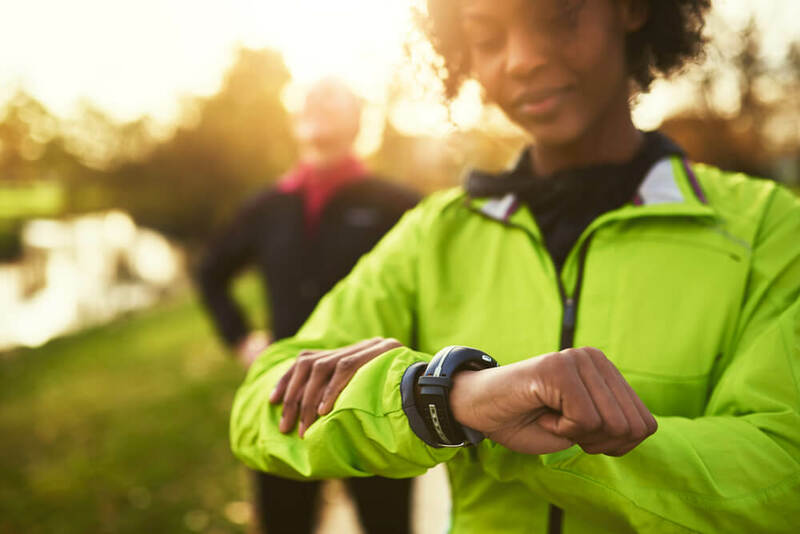 Tracking the amount of steps during your walk/run and your daily activity, it has a 30-day memory storage to help you monitor your progress and set different daily goals. Yes, you read that right. This kit is not only a digital tracking system, but with the available subscription program, you can also have your personal coach right in your ear on your next run. Imagine having the gym and trainer come to you for a change. If you are a fan of Android technology, then you will love this device. A smart-watch with GPS, it also serves to monitor your daily activity, track your progress, monitor your sleep, play music while you train, sends reminders and notifications and – to top it all of – it is waterproof and responds to voice commands. With all the great reviews and comments, there is little doubt whether these fitness gadgets that actually work are worth the investment. In our opinion, anything that will help you refocus on your wellbeing, your health and a better you is worth a chance. These fitness tech gadgets have come to revolutionize the training and workout regimes, and add a much-needed touch of fun, technology and diversity to our routines. Furthermore, whether you are a beginner or an avid runner, swimmer or skier, you will always find numerous advantages and benefits to training with one of these tools. The wide availability in the market, the fact that they easily adjustable to any type of sport, and that they are so easy to carry (watch, bracelet, around your neck, ears, pocket, etc.) it just makes of them the perfect companion for your workout session.